How would you rate it on the first day out? Moisture, ease, performance? Extremely good on CGD, extremely fast dry times (the fastest I have ever seen in any tool, even faster than my rotary dri-master). Very compact unit when the handles collapse, stores nicely in a crowded van. Not the easiest to use in residential environments, getting behind doors and into closets were considerably more effort than a wand, also on residential carpet it didn't slide very easily for me. In fact 1 job I didn't even finish with the Bonzer because the carpet had too much nap and I was tired of pushing it after 2 bedrooms. The front of the head would lift off as I started pulling back and would leave a wet area also on that carpet. If you regularly clean carpets without pre vacuuming, it has a harder time lifting loose debris than my similarly glided wand. For residential cut pile I would in 5 X 11002's. Thanks again to the guys at Rotovac for allowing me to try it! Interesting observation I never thought about. When I demo'ed the Bonzer I felt that was gonna be a problem. That handle is loose because that grip is a WTP bicycle comfort grip, it was designed to fit on a ⅞" handle bar. The stainless tube handles on the Bonzer are a slightly smaller diameter and those grips are held in place by "pinch collars". Those grips have to be over tightened to grab that smaller tube. I think more people will see the same failure you have over time. Maybe remove the grips and wrap the tube a few times with electrical tape?? That will build up the diameter of the tube a bit. Personally I probably would get different grips, I know what those grips are because I had em on my bike...and they wouldn't even stay on my bike very well for long. It was a good idea to try those grips cause of the enlarged palm pad area though. Rotovac replaced my unit. Still learning pros and cons. Rotovac said the unit designed mostly for commercial carpets, I think with some improvements we can easily use it on residential. First- they need to redesign the handle to make a sharper angle when you push the unit. They simply used DHX handle on Bonzer. I'd make it Z-shaped .Second- move hinges backward, or four hinges instead of two. It will prevent the head from lifting. 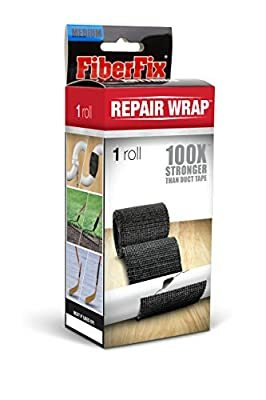 I tried to use it on residential carpets and it works just fine, but on some carpets it's really hard to push. The vacuum slots are too small in my opinion as well, you have to make sure you vacuum the carpet really well before using the Bonzer because it will not pick up any stray pieces at all. In the beginning Bonzer was love/hate for me. Now I can tell you - more love than hate. Yesterday I got the newest Bonzer with adjustable wheels and some other improvements. Wheels make huge difference!, easy to push, drier carpet! Rotovac listens, indeed. Take a look! Wonder with the improvements made if the price of the Bonzer is still the same. Ryan you're somewhat correct but on another level you're not.... Here's why. If I owned an RX 20 and wanted to see if the 360 XL was better and in what ways I'd be exactly the one to evaluate and be a judge of which is best. If I had pushed a wand most of my work life then any tool that made my job cleaner and with less effort the Hoss 700 would be a huge step up but the Hoss would be on the bottom of my list for all rotary tools made with a close second worst T-Rex. So evaluating any tool of equal class should best be done by users in that same class. Can demonstrating a new tool by actually using it be valuable ?... of course Yes but that is promoting and proving a products value to a prospective customer. If you however want feed back on design, function, user interface, durability and cleaning performance that would be R&D feedback. When Eric came up to the Rotovac booth at The Experience on Thursday to check out the Bonzer then to the outdoor demo site everyone could tell who's machine performed best. See it touch it use it. Then you'll know. I love mine for commercial large area cleaning without the danger of spinner burn where the yarn gets flowered by the spinning spray bar. (CX15) . the posted photo is an early release and if you can look at the trailing glide it has been photo shopped to conceal the opening. The Bonzer does have two vacuum glides. Two versions are available: holed or slotted. Rechargable Motion LED light from Amazon- good addition to my Bonzer! Ordered a zipper should be here Monday can't wait to try it out.